God foreknew all who were predestined to be conformed to the image of His Son… and those He predestined, He also called; and those He called, He also justified; and THOSE HE JUSTIFIED – HE ALSO GLORIFIED. In His omniscience God knows in advance every person that will choose to believe. God’s grace is extended to everyone and all we have to do is to believe in Jesus. And God has plans for everyone, who freely chooses to trust in Christ as Saviour. God foreknew all who would drink of the waters of life and become His child, and before the world was made He had plans for all those – who would believe on Jesus. In other words He predestined all church-age believers to be part of the new creation in Christ. And because He is God He knew ahead of time all who’d choose to believe: and the ones He knew ahead of time would believe (in Jesus)…………. He also predestined to be conformed into the image of His Son. And the ones He predestined to become like Jesus He also called. And the ones that He called He also justified – and the ones He justified He also glorified. It seems that in the eternal council chambers of God, before the world was created, God determined that all who freely chose to trust in Jesus would one day be glorified. But Scripture clearly tells us that there are three elements to Salvation. We are to be.. 1) Justified, 2) Glorified and 3) Sanctified. So why is sanctification omitted in Romans 8:30? 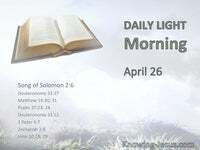 We read:- those He called He also justified and those He justified, He also glorified. 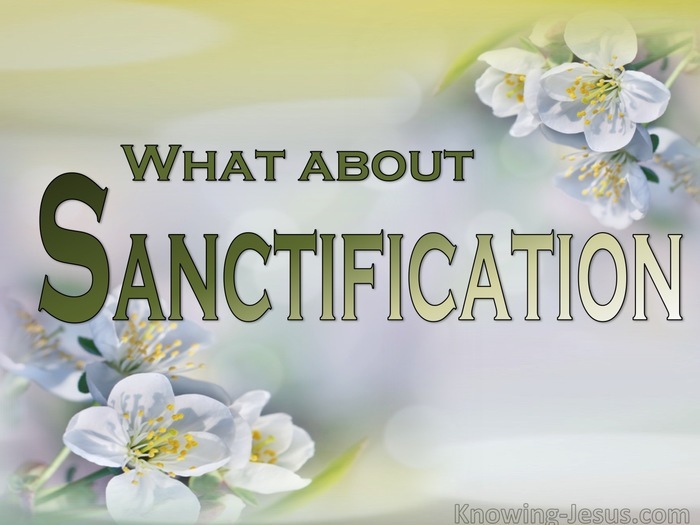 Why is sanctification omitted in this verse – when it is an integral part of salvation? Justification was the element of salvation that freed us from the PENALTY of sin. 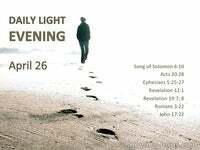 Glorification is the element of salvation that frees us from the PRESENCE of sin. And Sanctification is the element of salvation that frees us from the POWER of sin. Justification is a past event in time – and happened when we first believed…and Glorification is a future event in time – and will be finalised at Christ’s return. 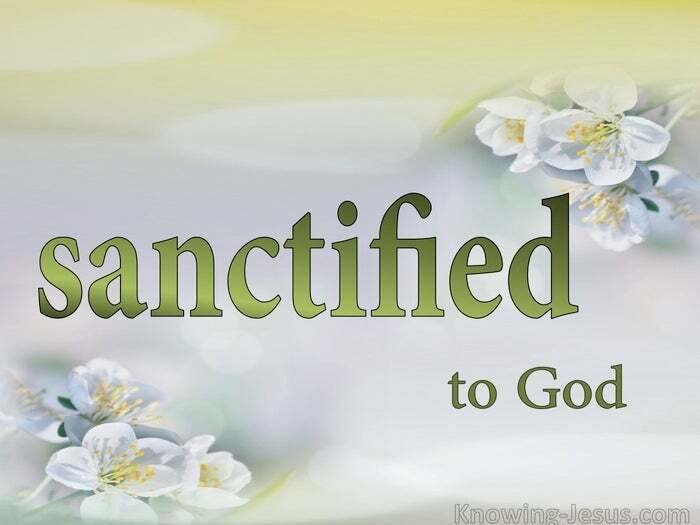 Sanctification is connected with our Christian life today – it is linked to the ongoing present time – it’s related to Christian growth, our spiritual maturity and the events in our lives that God uses to conform us into the image and likeness of His dear Son. 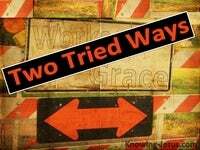 Well – every part or salvation is a gift of God’s grace that is accessed by faith. God does it all and we contribute nothing – all we had to do was to freely believe. Once we believed that Jesus Christ is the only begotten Son of God Who died to pay the price for our sins….. we were catapulted into the plan of God for ALL believers. We transferred from the kingdom of Satan into the kingdom of God’s dear Son.. We moved from death to life, from darkness to light and were no longer condemned. And God foreknew all who were predestined to be changed into the image of His Son. In His omniscience God knew in advance each of us that would choose to believe. God foreknew we would drink of the waters of life and become His children – and before the world was made He had plans for us and for all who believe on Jesus. And we have the assurance of His word that one day we WILL be glorified…. As His children we were given a new LIFE in Christ – a baby life that needs to grow into a mature spiritual believer -– a life that will be fruitful – a victorious life – a life that will be conformed into the image of Jesus during the time we live on earth. But we also have a sin nature that seeks to gain supremacy over the new Christ-life. Oh! we have been freed from sin’s power over us – but while on earth it still lurks. And this is the thing… just as we chose to believe in the Lord Jesus to be justified – So too we have a choice when it comes to sanctification during our time on earth. God wants all his children to be sanctified and set apart unto Him, just as the Lord. 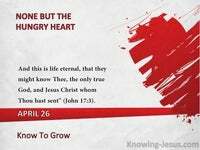 Jesus, who learnt obedience during His life as He grew in favour with God and man. We too are to live the sanctified life as He did if we are to grow in grace and mature. Jesus Christ set Himself unto God, but He will never force His will on you or me. Although justification happens at a point in time – sanctification is a life-long process. Sanctification is an ongoing, life-long process in a believer, BUT though God desires all His children to be sanctified – not all believers are willing to be set apart unto Him. But remember…. being positioned “in Christ”, when we were justified, means we were also positionally sanctified that very moment in time. We were positionally set apart unto God, but because we have free-will, we can choose if we want to be practically sanctified. Though positionally sanctified at rebirth – practical sanctification remains a choice. God desires all His children to willingly say, Thy will, not mine be done, as did the Lord Jesus – but God will never violate our volition should we choose to refuse. Everyone whom God in His omniscience knew would choose to believe in Jesus Christ for their justification are predestined to be glorified at His glorious return.. but not every believer will choose to be practically sanctified and set apart unto God. We may choose to live a spiritual life and abide in Him or walk the carnal route. We may choose to submit to the Spirit’s leading or we may quench Him in our life. But neither the spiritual nor the unspiritual believer is condemned – for God will never go back on His word. But while we have the choice – let us walk in spirit and truth and allow the Holy Spirit to do the good, sanctifying work of conforming us into the image and likeness of the Lord Jesus Christ…. And let us do it TODAY.